Great Water USA has been providing residential and commercial water treatment solutions for Northeast Illinois for more than 67 years. Today it continues to offer unsurpassed service, expanding beyond basic water softeners and water conditioners to state-of-the-art water refiners, reverse osmosis drinking water systems, carbon filtration, de-chlorination and a host of water purifiers for residential and commercial usage. EcoWater is the largest manufacturer of water treatment systems in the world; and Great Water USA has satisfied over 10,000 Northeast Illinois residents with great tasting, conditioned water. 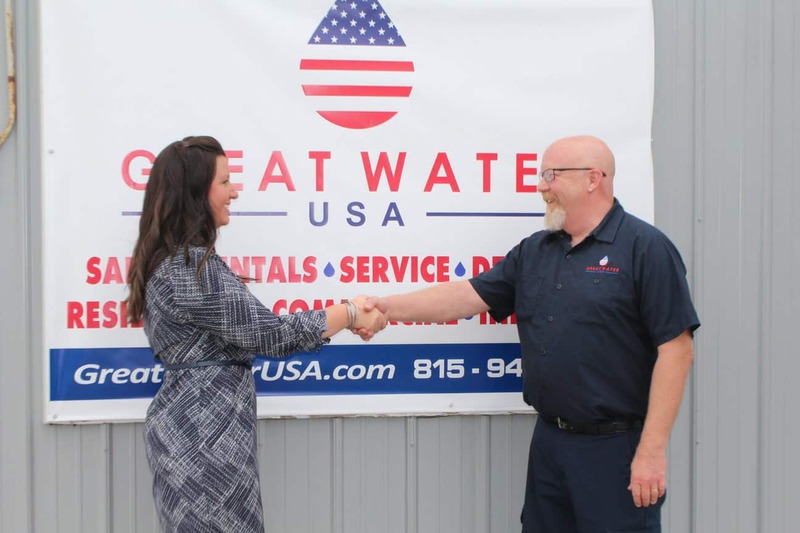 At Great Water USA , our reputation for quality products and service has resulted in repeat business and countless referrals. In a crowded marketplace of water systems, the concern of water quality and environmental impact has never before been so important. Great Water USA was founded with the mission of continually providing you the very best in innovative technology, the highest quality of services, and exceptional value. Great Water USA strives to stand out from the rest by offering the best products and services backed by a team with over 67 years of hands-on experience in water science. Our highly skilled, factory trained water service specialists are the best in Northeast Illinois and they will treat your home with the utmost respect and care. Great Water’s service and delivery department is unmatched in its professionalism and efficiency. Our field water service specialists have both the knowledge and experience to accurately diagnose your problem and repair it quickly. When you call us, you will speak with a trained customer service representative who will assist you in setting up your service call, installation and deliveries. They will also direct your call to the appropriate personnel to answer any technical questions and ALWAYS assist you in a professional, courteous manner. These core ideas have led us to develop successful business and personal relationships through mutual trust and respect.